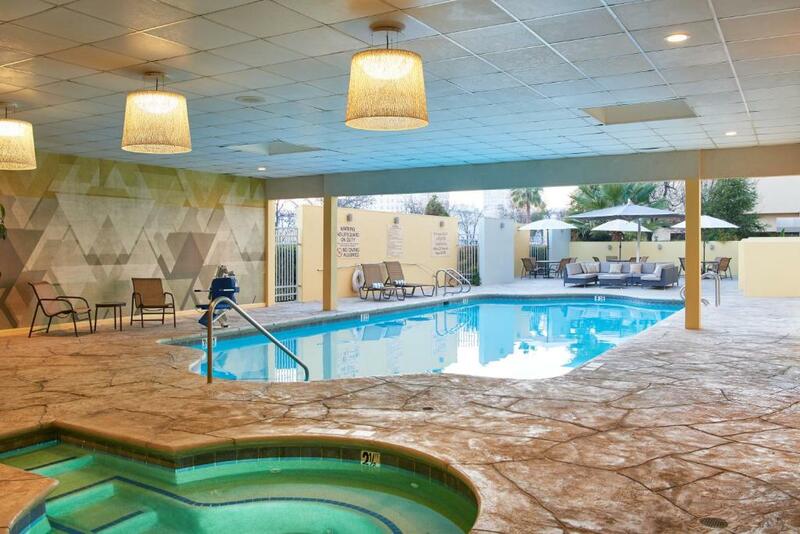 An indoor/outdoor pool as well as a three-story indoor waterfall in the hotel's tropical atrium delight our guests at DoubleTree by Hilton Hotel Fresno Conference Center. 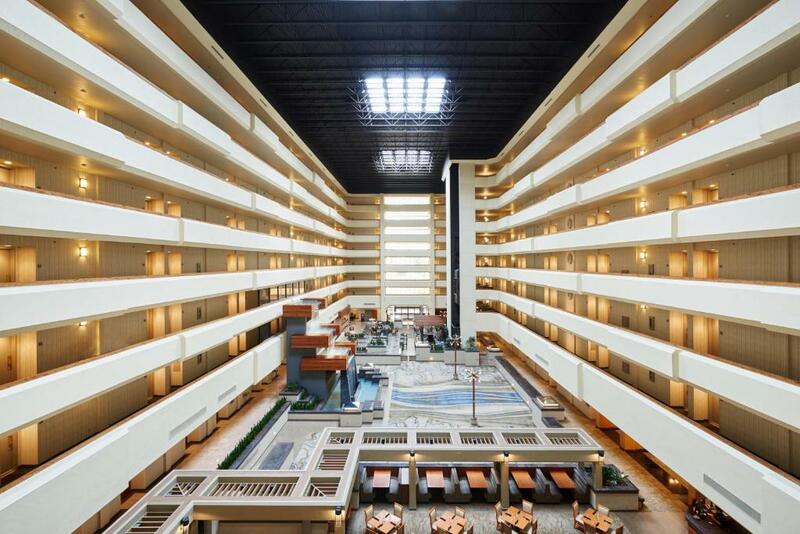 This downtown Fresno hotel has 321 rooms on eight floors. 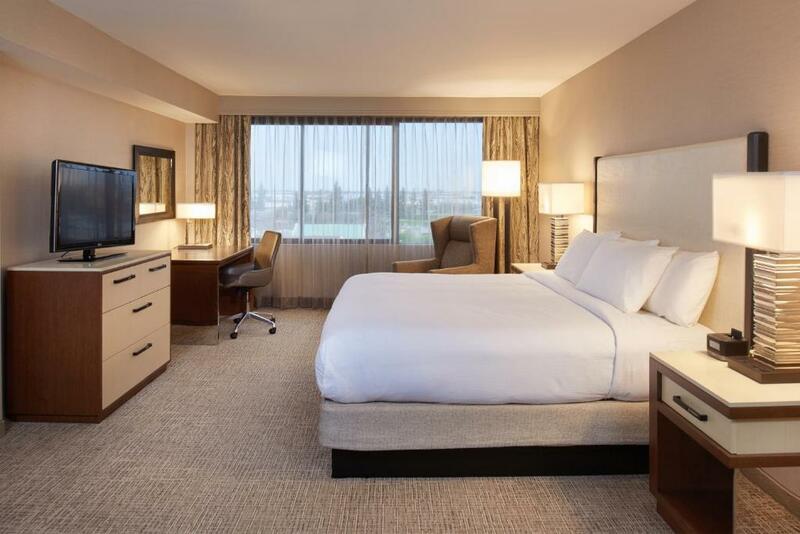 Each room features a high-end customizable bed a work desk a coffeemaker and a 37-inch flat-panel HDTV with premium channels. Wi-Fi is available for an additional fee. On-site dining options include a full-service International Cafe a pizzeria and a coffee shop serving Starbucks coffee. There's also an atrium lounge bar. 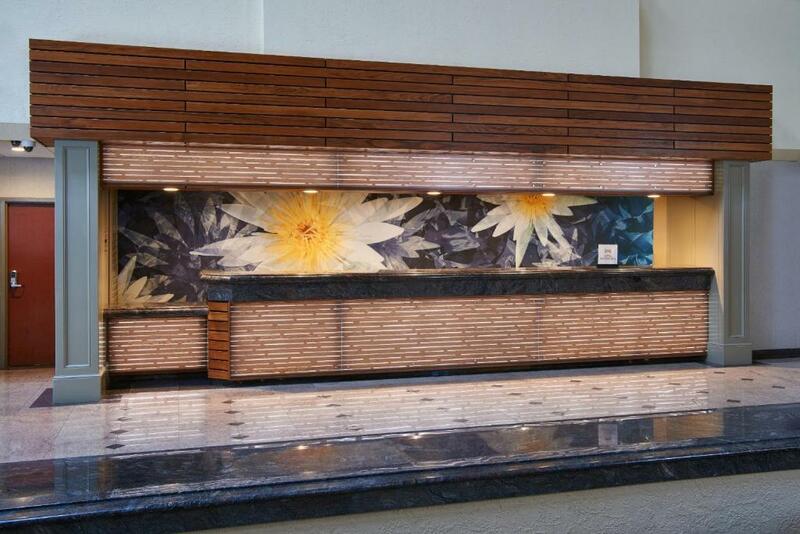 The hotel offers a heated indoor/outdoor pool a hot tub women's and men's saunas and a 24-hour fitness center. 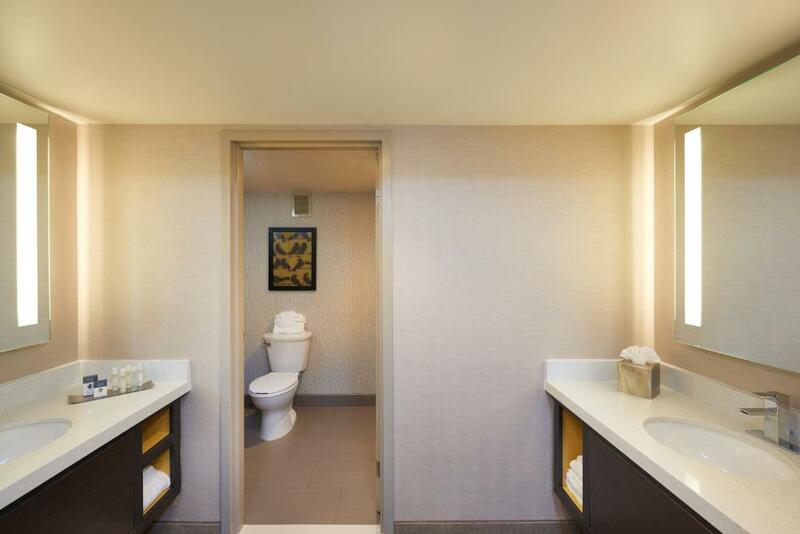 Guest conveniences include an ATM a gift shop valet dry cleaning a full-service beauty salon room service and a business center. The hotel is between highways 41 and 99 in downtown Fresno across the street from the Fresno Convention & Entertainment Center. The Fresno Grizzlies Baseball Stadium is a 10-minute walk. 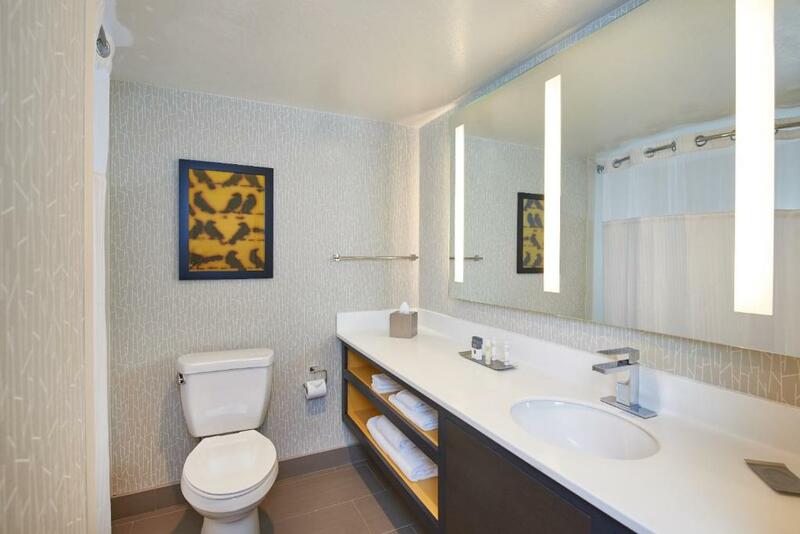 The hotel is less than three miles from Chaffee Zoological Gardens and Fresno Tower District's shops and restaurants. Great shopping at River Park Mall Fig Garden Village or Clovis Antique Mall is a 15-minute drive. Fresno Yosemite International Airport is 10 miles from the hotel. 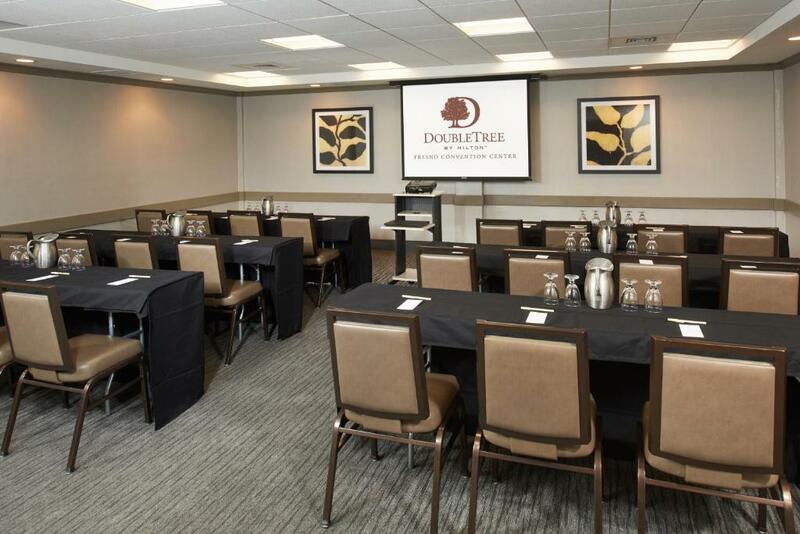 our guests like the dramatic lobby fitness center and on-site dining choices at DoubleTree by Hilton Hotel Fresno Conference Center.